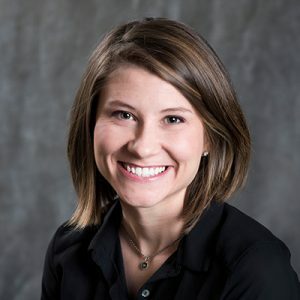 Amy Bailey is a Senior Solutions Fellow and the Director of Sustainability and Engagement at the Center for Climate and Energy Solutions (C2ES). Ms. Bailey identifies emerging approaches and solutions to climate and energy challenges and develops opportunities to increase information sharing between cities, states, and companies. She also manages the activities of the Make an Impact initiative, an employee-focused energy efficiency partnership between C2ES and corporate and community partners. Ms. Bailey joined C2ES from the Nicholas Institute for Environmental Policy Solutions, where her research focused on collecting and disseminating local climate and sustainability policies in the Southeast. She worked with local government staff throughout the region and provided guidance for state-level climate vulnerability assessment projects. She also served as Secretary on the Board of Directors of Clean Energy Durham. Ms. Bailey was a high school biology and chemistry teacher and later earned her master’s degree in environmental management from Duke University’s Nicholas School of the Environment. As a graduate student, she worked for the City of Atlanta’s Division of Sustainability and with the Sustainability Office for the city and county of Durham, North Carolina. Ms. Bailey holds a bachelor’s degree in zoology from Miami University.